Considering a wedding at Disneyland but not sure where to start? Let me help you! 1. I called the number and told the receptionist I was recently engaged and would like to find out more information about weddings at the Disneyland Resort. She took my email address and said she would email me a PDF brochure with some basic package and pricing information. She told me that if we were still interested in more information after reviewing the brochure, to call back and she would connect me to a Sales Coordinator. I received the PDF via email within minutes of hanging up the phone. 2. After reviewing the PDF, we decided a Disneyland wedding could be a possibility for us. I called back and told the receptionist that we had reviewed the brochure and would like additional information. I was told the next step would be to speak with a Sales Coordinator, but no one was available at the time. I would be placed into someone’s voicemail and I was warned it could be a couple days before I received a call back. 3. Within a couple hours, I received a call from Traci, who ended up being our assigned Sales Coordinator and Planner. We discussed the various package options listed in the brochure, and scheduled a site visit so we could meet Traci and look at the various ceremony and reception sites. 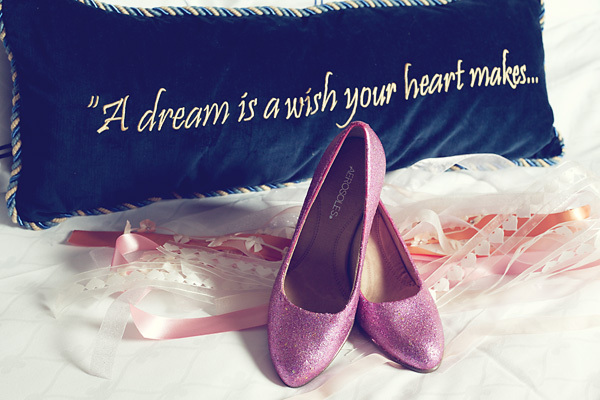 The next place to look is the Disney Fairy Tale Weddings website. The website offers pictures of the various ceremony locations, as well as decor samples. The website also offers some basic pricing information. The Escape Package is perfect for the couple on a budget or the couple looking for an elopement. The Escape Package is $6,500 inclusive and features the basics you would require for a small ceremony and reception. You also have to guarantee a 5 night room block at a Disneyland Resort hotel. The price for the Escape Package without the room block guarantee is $8,000. The Wishes Package is the most popular package at the Disneyland Resort. A Wishes wedding is much more customizable but also more expensive than the Escape Package. Wishes weddings start at $15,000 for weddings on Monday – Thursday, and $18,000 for weddings on Friday and Sunday, and $21,000 for Saturday weddings. These prices also include a room block; see the list below. The minimums are higher without the room block. This is the minimum amount you must spend on Disney’s services, including the venue fee, food and drink, floral, decor, and any special extras such as Cinderella’s Coach. Disneyland does offer in-park weddings at Disneyland Park and Disney’s California Adventure; however, these packages are highly customized and unique, and no specific pricing is available. In-park weddings are held after the park’s scheduled operating hours. Still have questions about getting Disneyland weddings? Feel free to join our Married at Disneyland Facebook group! 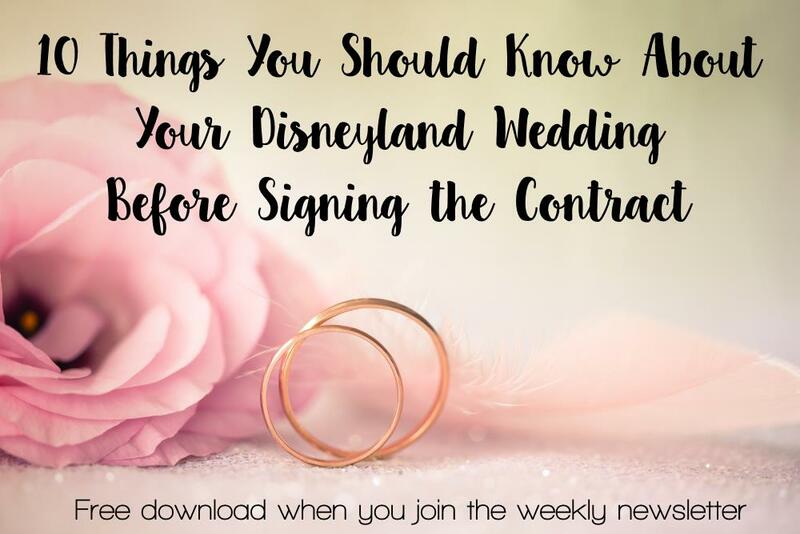 If you are getting some resistance from your family and friends about having a wedding at the Disneyland Resort, perhaps have them read over my post Myths About Disneyland Weddings. The post includes responses to some of the common questions I got about our own Disneyland wedding, and also includes some pretty pictures to show how beautiful a Disneyland Resort wedding can be.